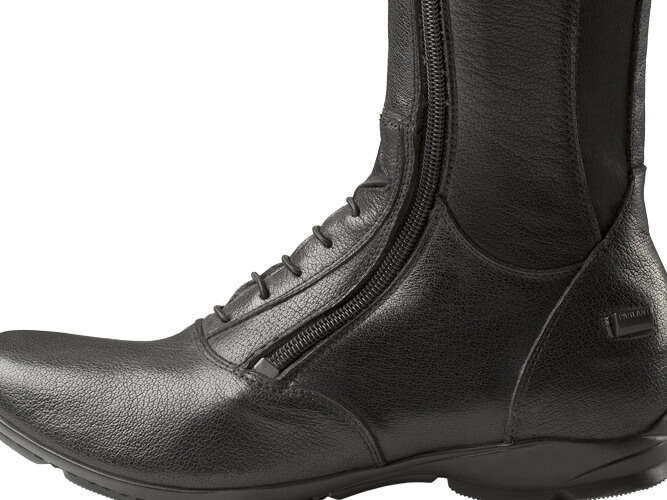 Entirely handmade Jumping Boots made with superior quality buffalo leather. Inside 100% natural calfskin leather lining, front/back elastic inserts, back YKK® zipper, glued/sewn 100% B-Flex rubber sole. 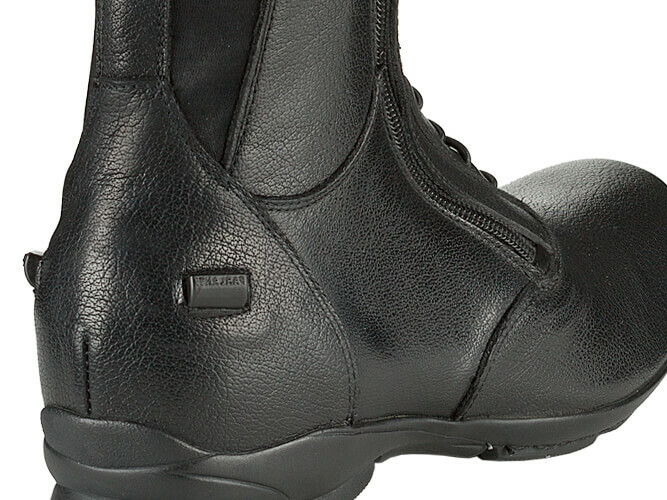 • Picture: B-Flex jumping boots in black buffalo leather, spur holders and back zipper protection. 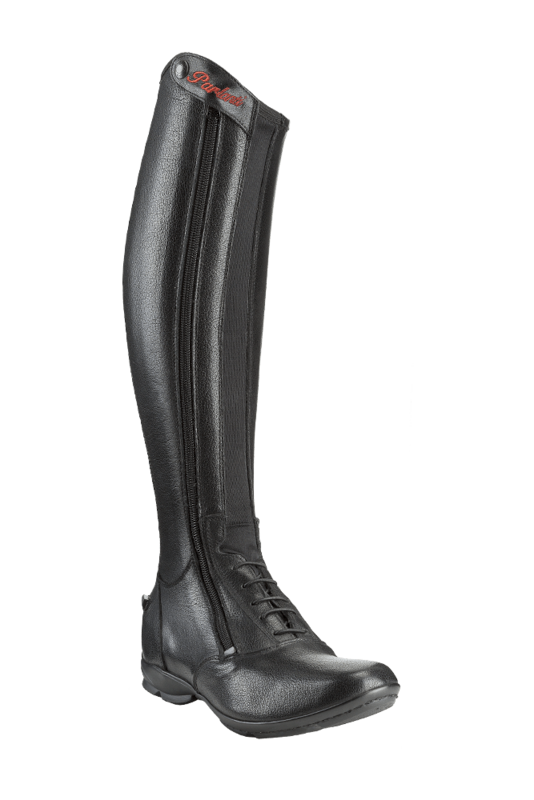 A modern approach for a unique boot, made of soft buffalo leather and designed to achieve unimaginable lightness and sensitivity on the saddle. The YKK® zipper guarantees prolonged use over time and the seams, made of 100% multifilament polyester material, withstand the harshest of stresses. The shoe upper is cut, sewn and mounted on the shape following a rigorous process of craftsmanship. The buffalo leather guarantees the perfect “feel” and the most stressed elements are in leather, in full respect of the principles of the Italian footwear tradition. 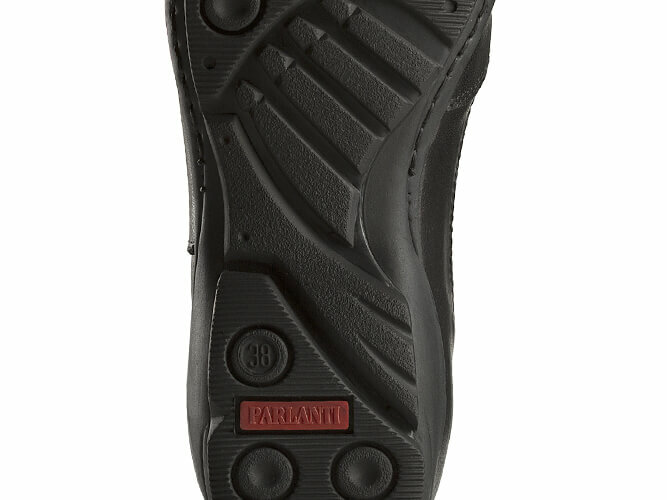 The anatomical gel insole ensures maximum stability. 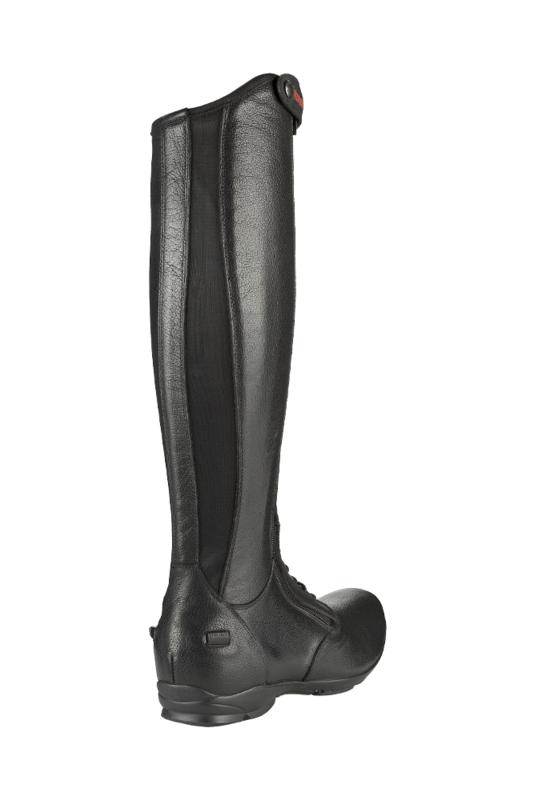 The B-Flex concept represents an innovation in the world of horse riding. A 100% highly “technical” rubber sole designed to achieve maximum performance. Flexible and comfortable, it is able to perfectly combine qualities of lightness, adherence and strength. As in all our products, the bottom is first glued and then sewn.